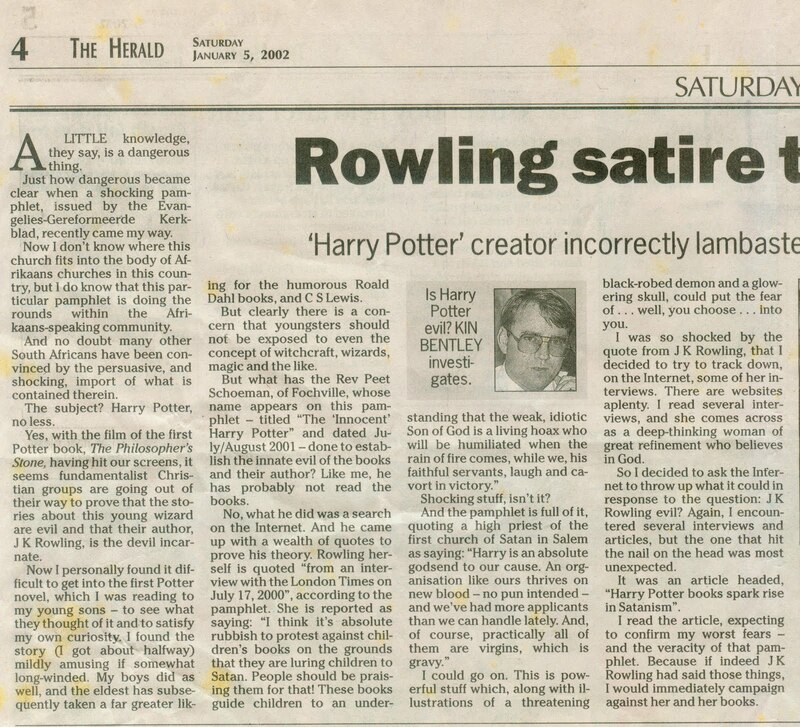 Having two sons who in 2002 were ten and eight years old, I naturally also got wrapped up in the Harry Potter and Lord of the Rings phenomena. 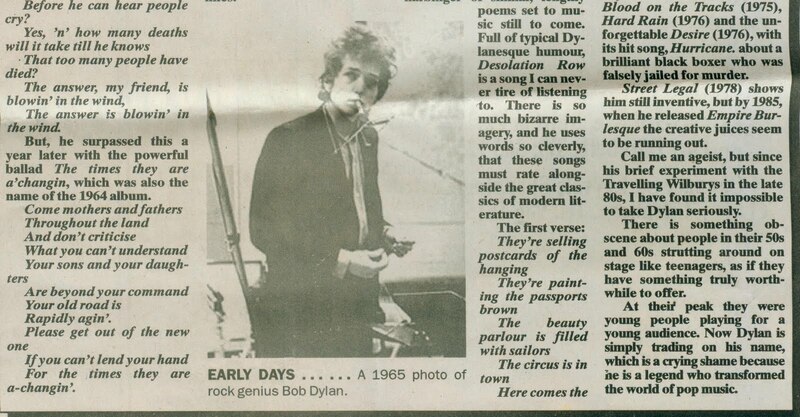 Here are articles I did in the Herald early that year on those two films, as well as a book review and a little tribute to Bob Dylan. The concluding part of the Potter piece. 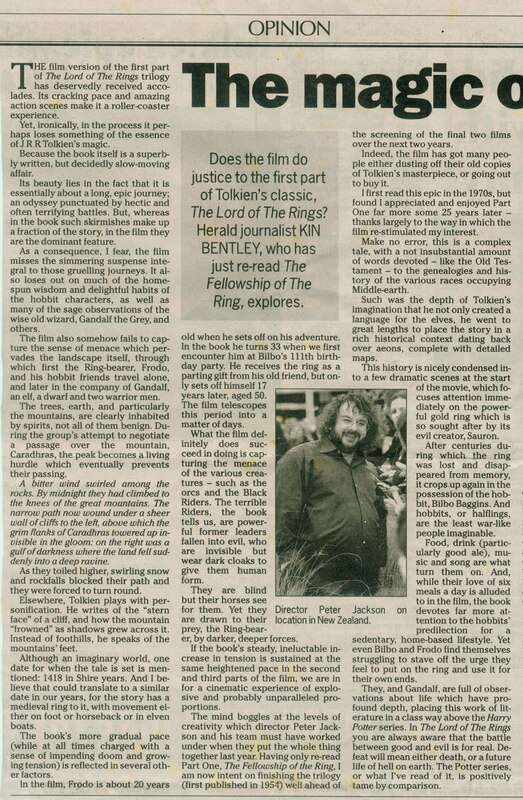 Would Lord of the Rings live up to the books? This article continues below. 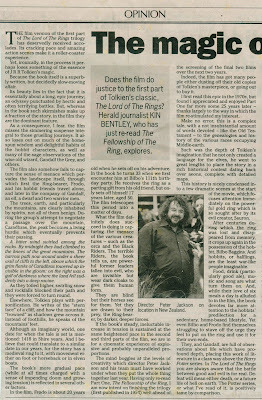 The final part of the Lord of the Rings article. A review of a book about an abortive Scottish colonial enterprise. 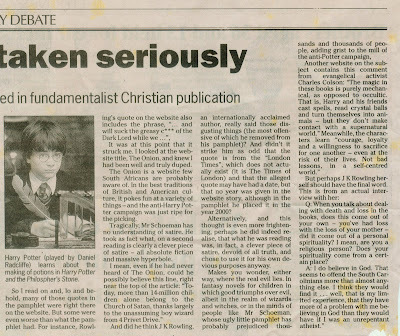 Due to scanner limitations, this article must be read by alternating between this section and the one below. 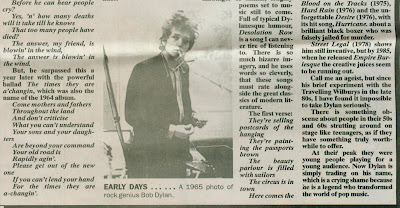 Later in the 2000s I did plenty of work on rock legends like Dylan who shaped my life. 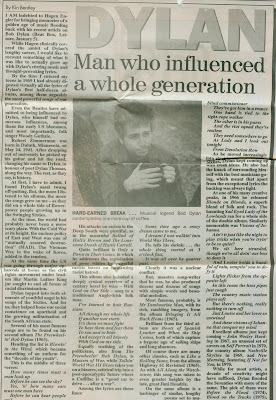 This can be found by googling "Global Rock Legends". 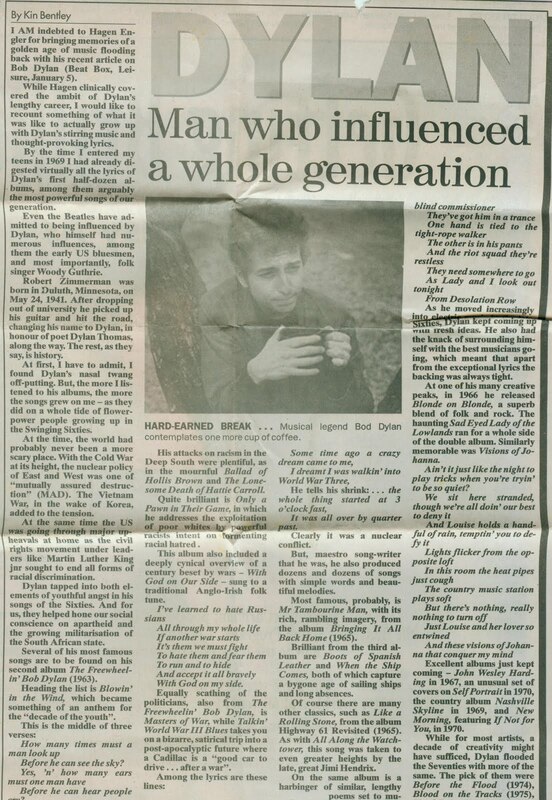 The bottom section of the Dylan article.